Lab Consultants - HERA, Inc. 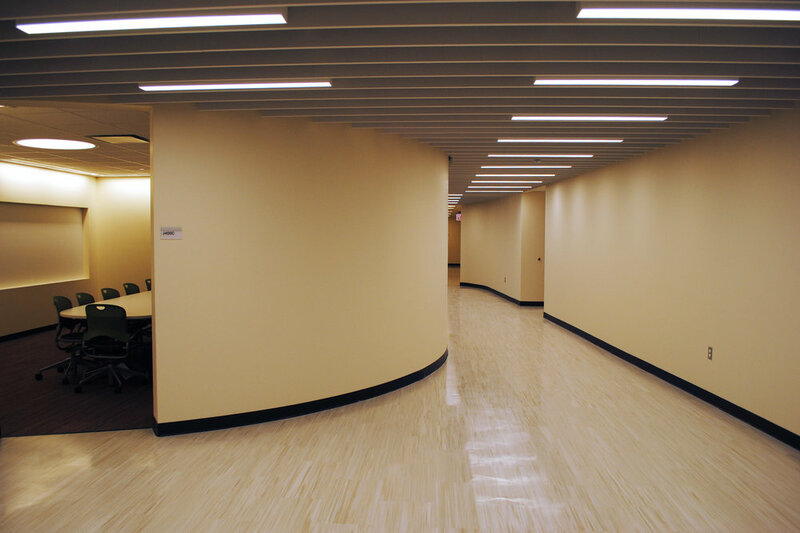 The project comprised the gut/rehabilitation of the entire 4th floor of the Surgery Brain Research Institute (J4). J4 formally housed 17 surgery operating rooms and support spaces. New program included 9,500 SF wet labs and 3,500 SF primate & rodent labs for the new director of the Department of Neurosciences. Project was phased and a fast-track schedule was developed with UC’s Construction Manager (Gilbane) to expedite the project schedule. New glazing will replace existing stone panels bringing natural light into the labs. Infrastructure work included (2) new AHU’s in the penthouse and all new mechanical, electrical, plumbing & fire protection on the 4th floor. 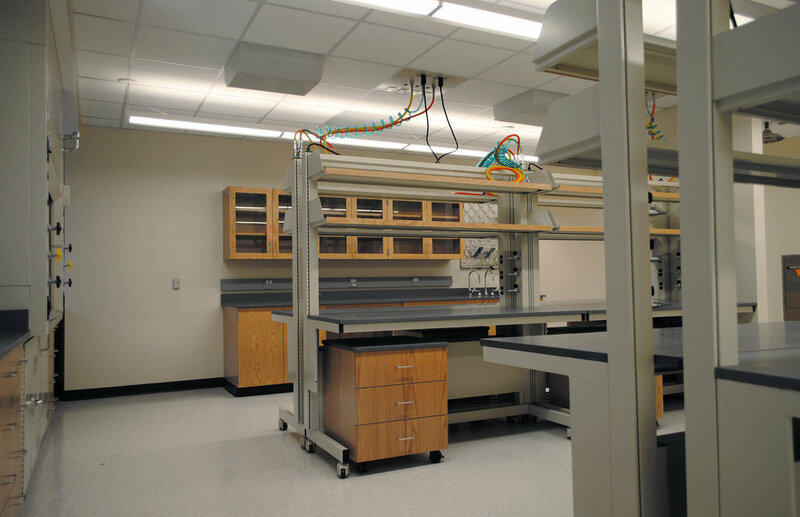 The wet labs were designed to maximize flexibility by creating modules of open labs and support rooms. Collaboration areas off of the public corridor were added to encourage informal collaboration among lab users.